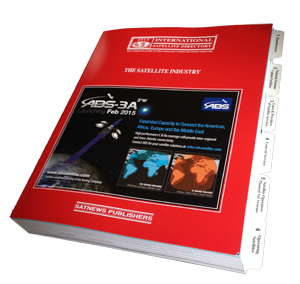 Updated annually with over 25,000 entries, this best selling 900 plus page reference source is a must for all satellite professionals. Includes online access to over 850 EIRP, G/T and SFD maps in full color. Searching for Satellite Data? - Opening up new markets? - Finding new customers? - Analyzing the competition? Or do you just need that one last detail? 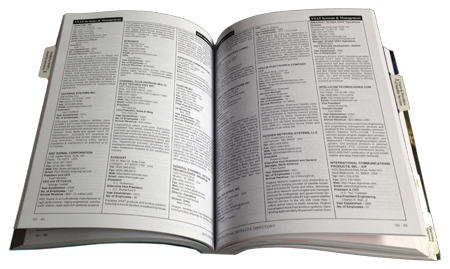 Whether you are using, or need to be using "THE INTERNATIONAL SATELLITE DIRECTORY," our 32nd edition will certainly meet expectations! 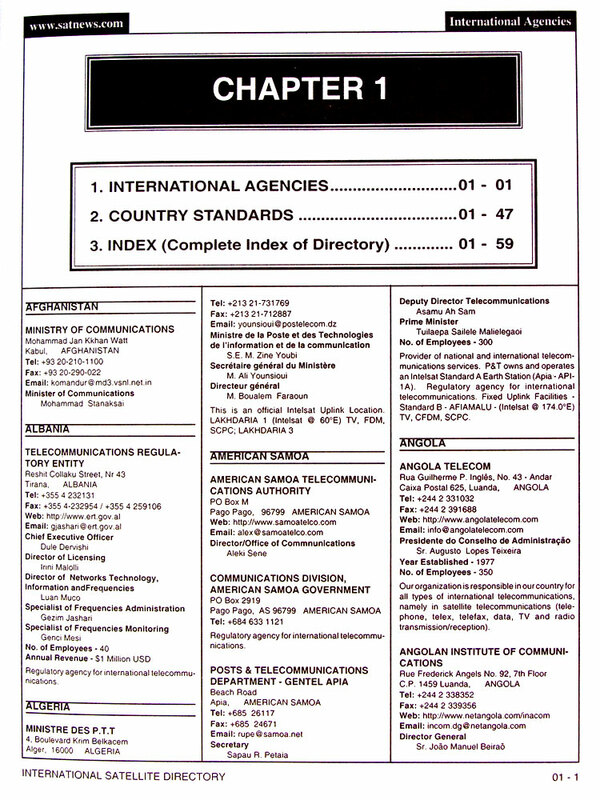 The Directory is a comprehensive guide to the people, companies, products, services and the market of the booming 100 billion dollar satellite industry. 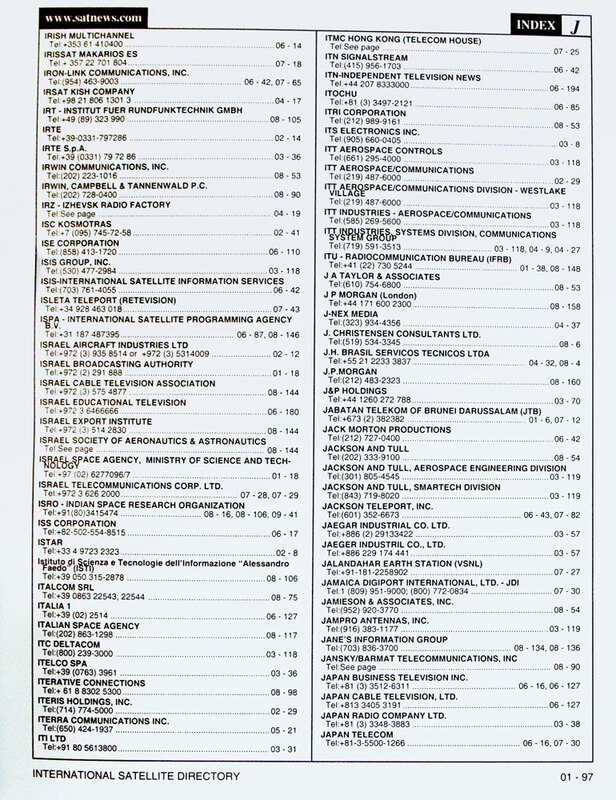 With changes of all kinds affecting this dynamic industry, the Directory remains a powerful tool, mapping in detail an otherwise uncharted and complex segment of modern communications. The Directory supplies detailed research, giving you the facts and figures you need. The names and titles of key personnel, their addresses, telephone numbers, fax numbers and e-mail addresses are provided. 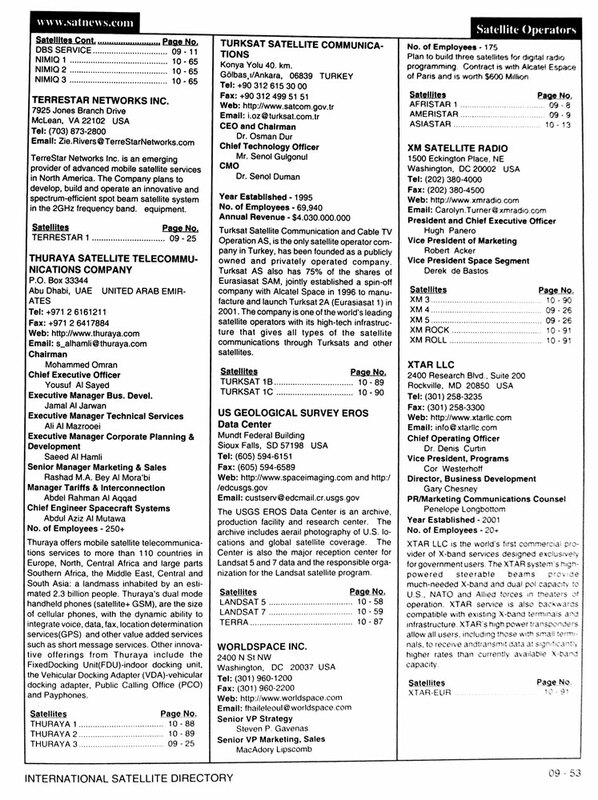 Included in company descriptions are statistical data and detailed information about products and services. 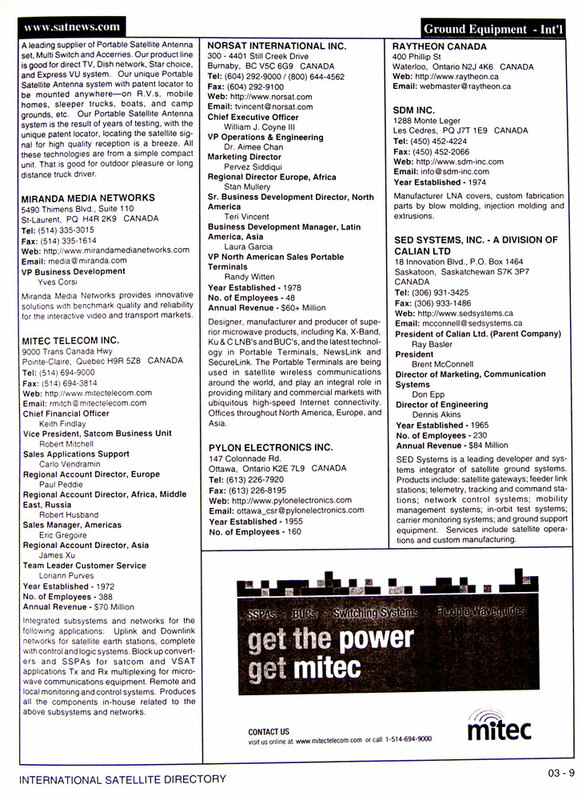 Everything you need to either mount a marketing campaign or to satisfy a purchasing need is contained in the Directory. 1. Discover new and perhaps better sources of supply for the products and services you now use. 2. Alert you to new products and services you've never used before, creating opportunity to diversify, expand and improve your performance. Manufacturers of Satellites and Space Equipment - over 1,400 manufacturers of every conceivable satellite and space component, including information on launch services. Network Systems - internet service providers and other ground systems networks including VSAT systems, business networks and video-conferencing providers. 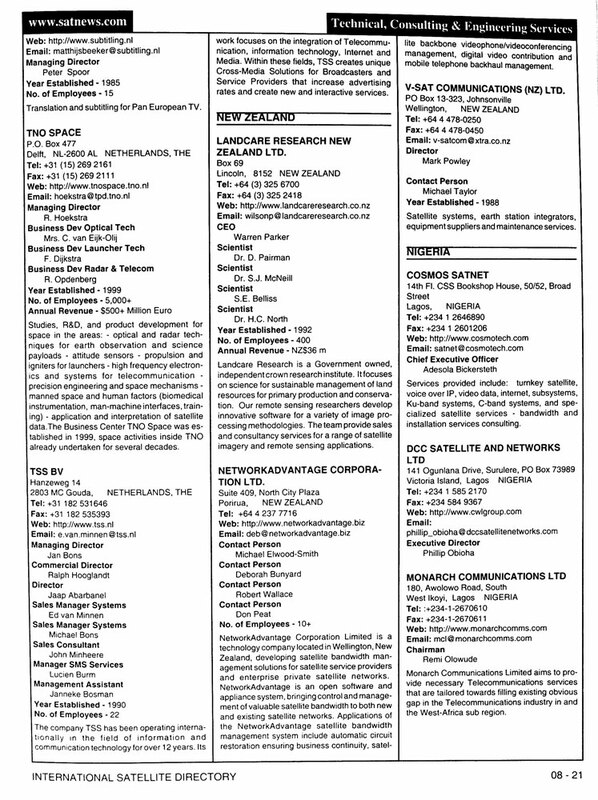 PC-Satellite Connectivity - internet via satellite providers and manufacturers of equipment plus a list of web addresses of satellite companies. 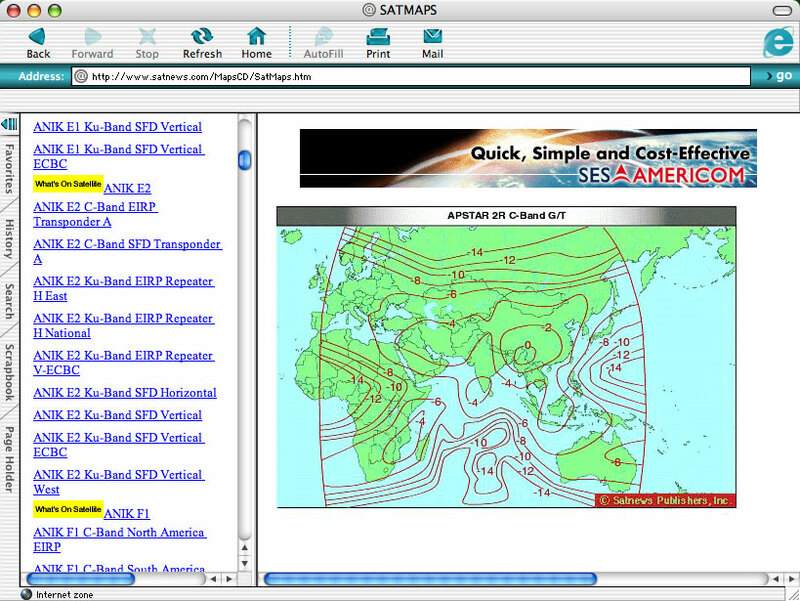 Users of Satellite Systems - satellite programmers, worldwide broadcasters, ISPs and cable systems. Providers of Satellite Services - distributors of hardware, transmission services, transponder brokers and providers of video, voice and data services. 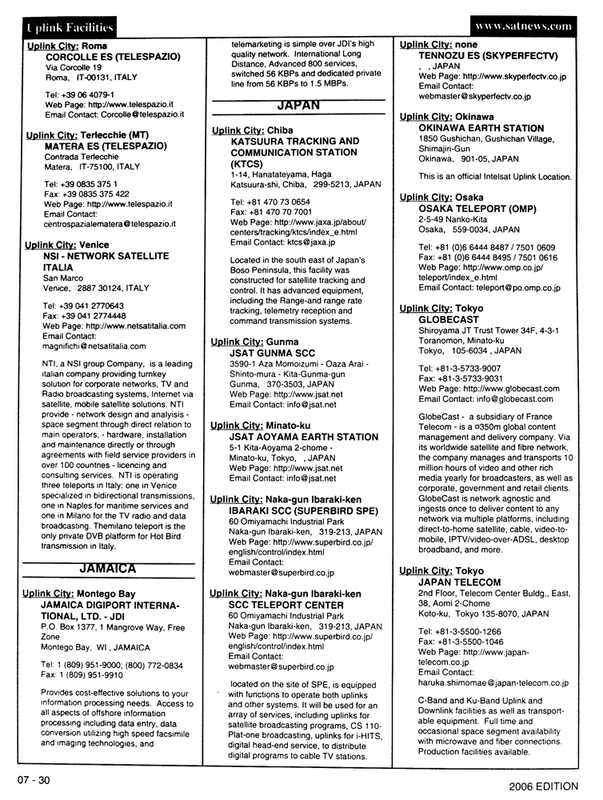 We firmly believe that the International Satellite Directory will be so invaluable to you that we guarantee it. Use the Directory and if you are not totally satisfied, simply return it to us within 21 days of receipt for a full prompt refund. 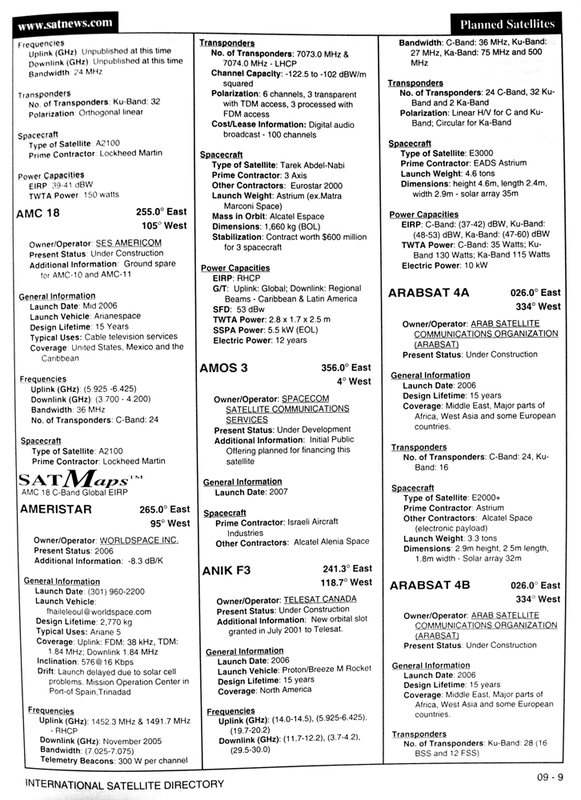 The INTERNATIONAL SATELLITE DIRECTORY is the most powerful connection for decision makers looking for ways to maximize productivity and profits - It is the must have reference source of the year. "The MOST USED book in our library..."
"The ONLY Satellite Directory in our library......."
Who Should Buy This Directory Set . . . 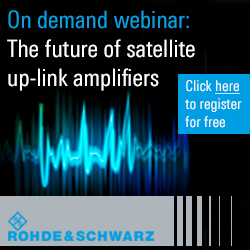 In fact - anyone who is involved in the satellite industry . . .